Troy Rafferty is a shareholder with the Levin Papantonio law firm. He litigates mass tort, pharmaceutical, and major personal injury cases throughout the country. 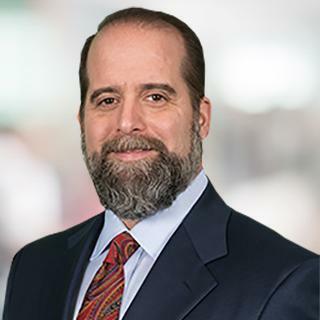 Mr. Rafferty has been recognized as one of the country's top lawyers through inclusion in the publication, The Best Lawyers in America, as well as The Legal 500. He has also been recognized as one of Florida's top lawyers by Florida Super Lawyers. Mr. Rafferty has been awarded an AV rating by Martindale-Hubbell legal directory, the highest rating for competence and ethics issued by that publication, and reserved for attorneys designated as outstanding in their field. Mr. Rafferty has been selected by the American Trial Lawyers Association as one of the Top 100 Trial Lawyers. He is a fellow in the International Society of Barristers. Mr. Rafferty is board certified in civil trial law by The Florida Bar. He is active in the Florida Justice Association, and previously served as its past president. In 2009 and 2010, he was awarded the Gold Eagle Award for "exhibiting a steadfast duty to protect and defend civil justice," and in 2016 received the "Perry Nichols Award", which is the highest honor awarded by the association. With Contrast or Without Contrast - What is the Gadolinium Based Contrast Agent Litigation? I provide absolutely free confidential consultations, and never charge any fees or costs unless you first recover. My law firm's 35 attorneys, 6 investigators and 2 medical staff work together as one team for you. Levin Papantonio was founded in Pensacola in 1955, and has remained in Pensacola to this day. Visit our website at www.levinlaw.com. Compare law firms before hiring one to represent you in an injury case. Compare fees, resources, success rate and experience. Visit our website at www.levinlaw.com.